extra cover is available. Standard levels of compensation are as published. ask about extra track new lap counter app for android or apple available. SCX presents the most technologically advanced system: wireless, sound, up to six simultaneous cars on track, regulation of acceleration, braking and fuel load, among other new and exciting features. SCX is immersed in a new technological generation of its gameplay with the release of SCX WOS, the most advanced system to enjoy the competition that characterizes SCX, now with new and greater incentives. The new SCX WOS technology to be applied to tracks, cars and accessories allows new features like 2.4 GHz radio frequency wireless controllers, racing sound, regulation of acceleration, braking and fuel load, ghost car and safety car controlled by the system, gas refueling in the pit lane and so on. 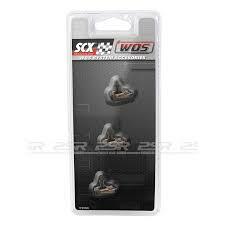 Through the SCX WOS controllers the drivers can control various aspects of racing. Each hand controller that works with rechargeable batteries and is equipped with LED lights, syncs individually with its corresponding car and with them we can define up to five levels of acceleration and braking, turning on and off the front, rear and brake lights and reproduce the racing sound of the car itself. The new SCX system that has been recently unveiled at the Nuremberg Toy Fair will be available throughout the second half of the year.  2.4 GHz radio frequency technology for communication between controllers and cars.  Cars with front and rear brake lights.  Up to six cars on the track racing simultaneously.  Change lanes and overtaking.  Refueling in the pit lane and definition of the maximum fuel capacity.  Ghost Car Mode: a single player competes against a computer-controlled car, which varies its speed according to race development.  Pace Car Mode: When there are several players on track, the system controls a car that makes safety car functions and maintains a steady speed.  Game options modes: training, unlimited or predetermined races duration.  Starting lights with countdown lights. 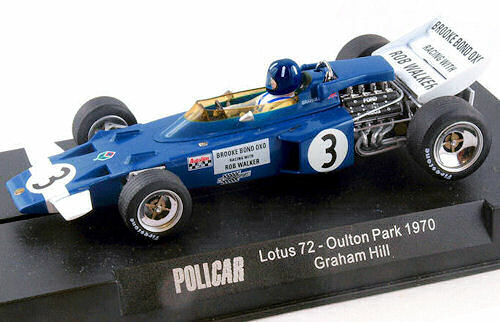  End race message and victory lap for the winning car.  Online update possibility for software updates.  Control of acceleration and braking (5 levels).  Cars lights On and off.  LED lights to indicate different programm. We have all Carrera digital accessories and tracks call for advice. If you cannot find what you are after send us an email or call. Various systems all with their own pros and cons. Third party systems such as Davic, Oxigen and Scorpius are available. Call us for a discussion. There are other interesting systems such as Slot fire and BLSl systems. Refueling, ghost cars, pacer cars and hindrance cars, change lanes enter the pits more realism. SCX digital expected back September 2014! Best track system - Ninco. Carrera can be used outdoors and we find the digital system works well.